At the heart of Bord na Móna is the partnership of nature and technology – respect for the former as our greatest resource and investment in the latter to safeguard our future. With this in mind, Bord na Móna UK is committed to supplying the best quality, most fit for purpose peat-free and peat-reduced growing media, soil improvers, bark and fertilisers. And to fulfilling the home and garden needs and aspirations of us all – consistently great results, absolute reliability and a clean, sustainable future. At Bord na Móna, we have a deep-rooted drive to make the most of our natural resources, and to deliver more sustainable solutions for the benefit of the communities we serve. Never again will Bord na Móna open another peat bog. Instead it invests in eco–technology like no other – biomass to create eco-friendly heat and clean energy; wind farms to provide clean power. Investment in recycling yields clean water and clean air and diverts waste away from landfill. Green composting creates new gardens from old. Far from wasting the peat that Bord na Móna has farmed in the past, it is blended with sustainable materials – with biomass to produce eco-friendly fuels and with green waste for making growing media and soil improvers. 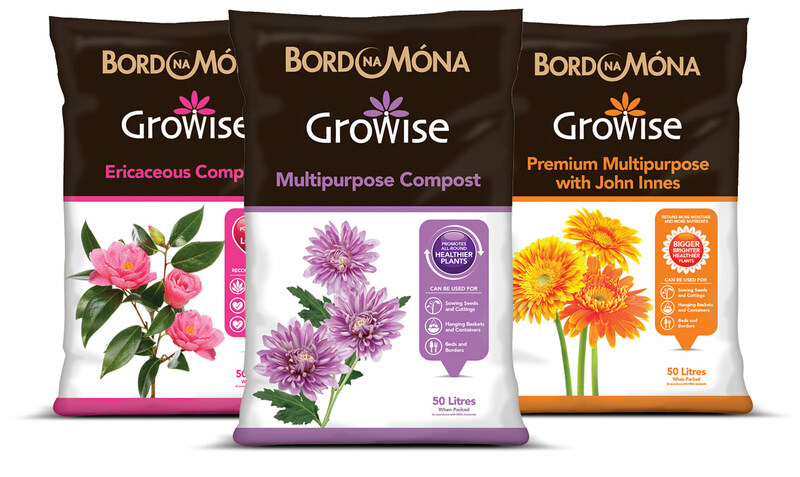 In the UK garden market, the Bord na Móna Growise brand encapsulates the company’s single minded commitment to best in class consumer satisfaction. Its range of growing media and soil improvers including specialist blends offers the perfect combination of peat-free and peat-reduced. Bord na Móna Growise uses green waste – last season’s plants, grass cuttings and hedge clippings – forestry by-products and naturally sourced nitrogen, using computer-controlled technology to ensure the mix is completely sanitized and free from weed seeds, pathogens and contamination. With this it replaces some or all of the peat content of traditional growing media to create top quality peat-based and peat-free products. Bord na Móna UK is all about the future. Natural resources, used wisely and never wasted. Innovative technology, ensuring performance and sustainability for us all.